Dragondrums is the coming of age story of Piemur, a small, quick, clever apprentice at Harper Hall. When Piemur's clear treble voice changes at puberty, his place among the Harpers is no longer certain. He is sent to the drum towers to learn drumming, the primary method of long-distance communication on Pern for non-dragonriders, while his voice settles. There he has to deal with the jealousy and bullying of the other drumming apprentices. 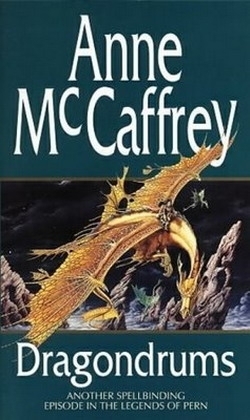 When Masterharper Robinton secretly asks Piemur to be his apprentice, Piemur begins journeying through Pern, gathering information and running discreet errands for the Masterharper. In his adventures throughout Pern, Piemur has only his knowledge and wits to deal with a cruel Lord Holder and rogue dragonriders. He Impresses one of the coveted fire-lizards – a gold he names Farli – as a companion, discovers his place in the world, and earns journeyman status among the Harpers.